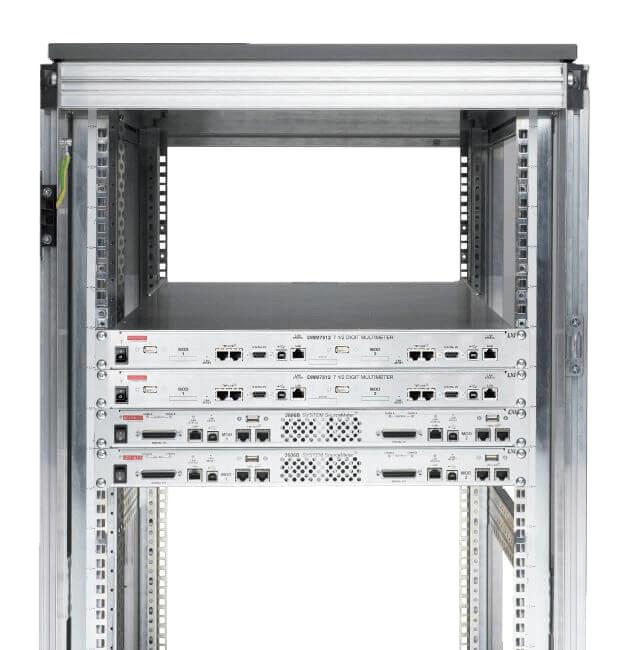 The DMM7512 combines two full-function, high accuracy, high sampling speed DMMs into a 1U high, full rack wide form factor chassis. The compact chassis saves rack space in high-instrument density test systems without compromising measurement performance. Each DMM has identical functionality, and they are entirely independent of each other. 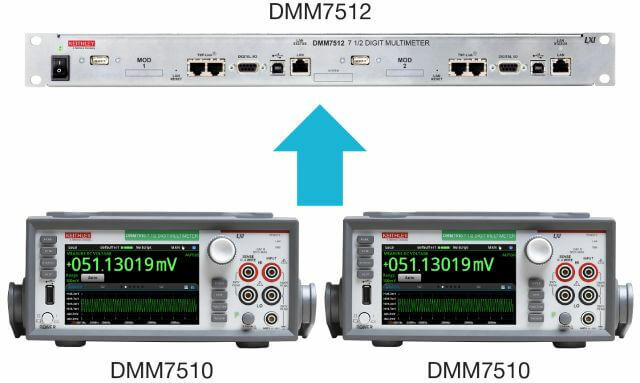 The DMM7512 consists of two, independent, identical, 7½-digit DMM7510 digital multimeters (DMMs) with a few less measurement functions. 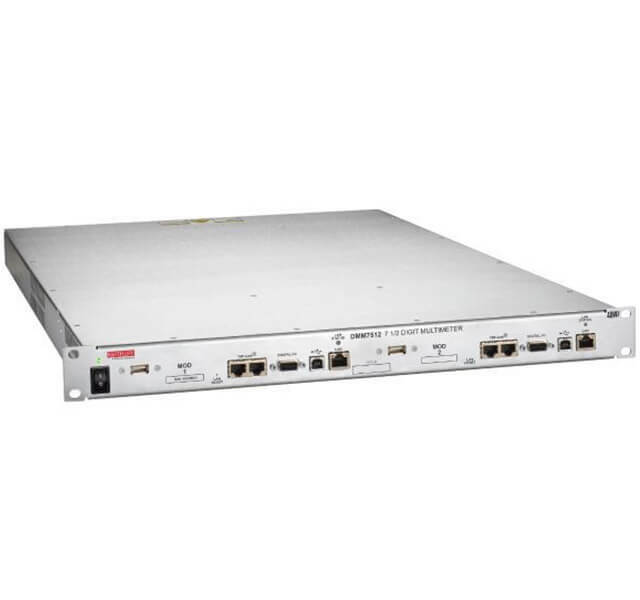 The two DMM7512 DMMs have the same accuracy, sensitivity, and speed as the DMM7510 so that the DMM7512 can be seamlessly integrated into a test system that previously used DMM7510s. 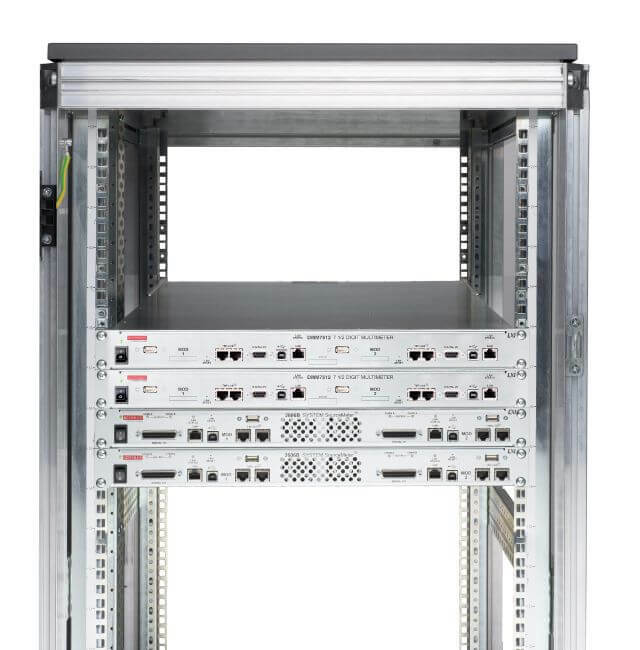 Save valuable rack space with two DMMs in a 1U high rack space. Compared to two 2U high DMM7510s, you can get twice the measurement capability in half the space. The two DMMs in each DMM7512 have built-in intelligence to execute test programs without PC interaction using its Test Script Processor (TSP®) Technology. 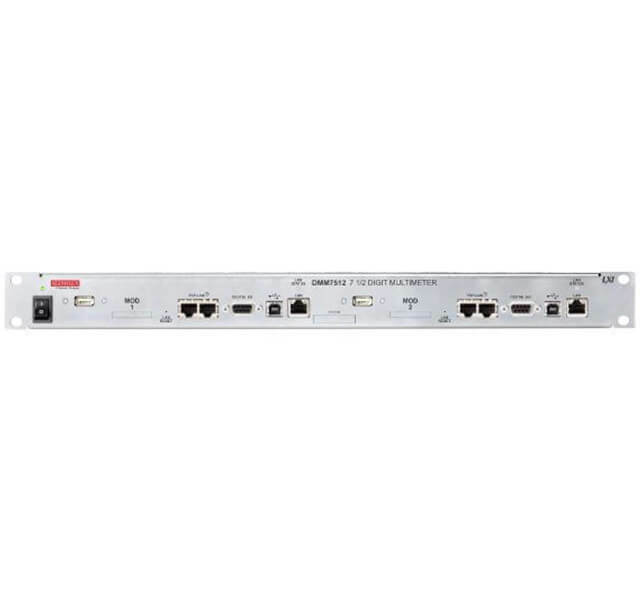 In addition, each DMM features a TSP-Link® hardware interface so that one instrument can control other instruments in a master-subordinate configuration. 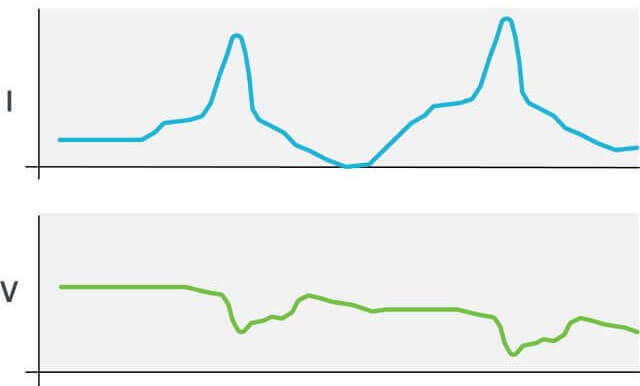 Use the two DMMs of the DMM7512 to independently capture dynamic battery drain current and battery voltage and compute power consumption of low power, wireless IoT, and implantable/portable medical products, a critical parameter for battery-operated devices. 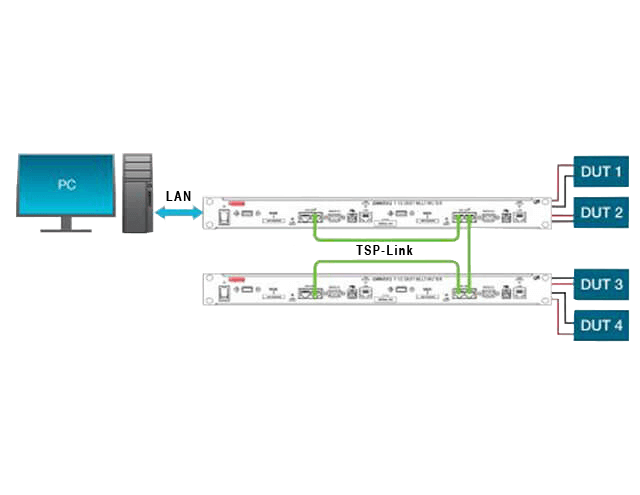 Use the two DMMs in a DMM7512 to test two devices-under-test (DUTs) to double test throughput and maximize test system capacity. Or, use multiple DMM7512s and test even more DUTs with one test system. Save on the number of test racks and save critical factory floor space with the 1U high dual DMMs.